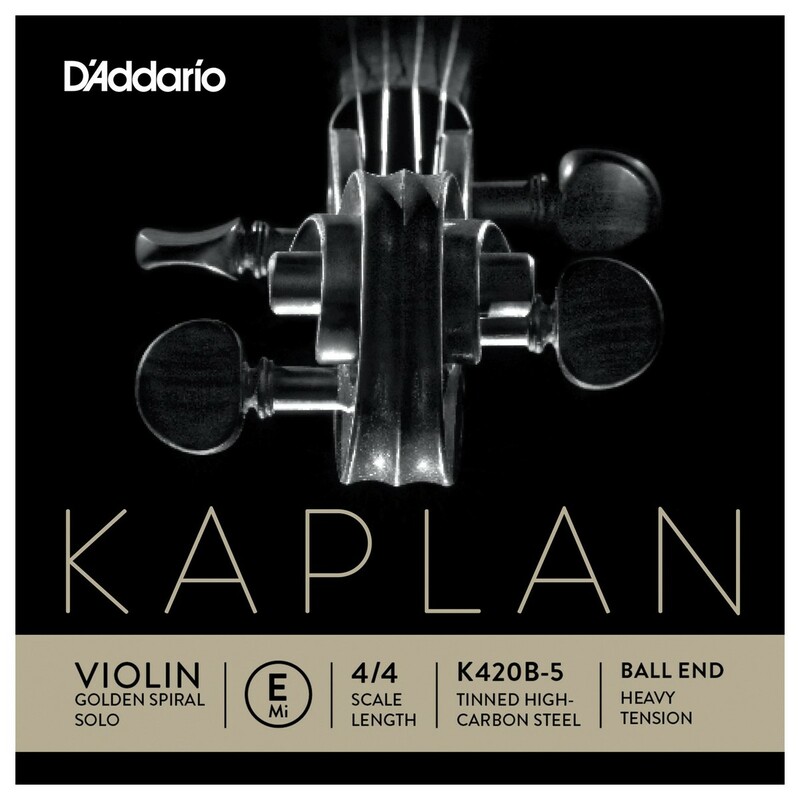 The D'Addario Kaplan Golden Spiral Solo Violin E String is a heavy tension string that produces traditionally rich sounds you'd expect only from high-quality steel E strings. Scaled to fit 4/4 size violins with a playing length of 13 inches (328mm), this heavy tension string is developed to meet the needs of a wide variety of players. The care taken during the plating process means the string has greater corrosion resistance. This heavy tension E string will allow for greater projection and volume potential.